Andy Taylor was born in Tulsa, OK and accepted Christ as Savior at Trinity Baptist Church in Tulsa while in high school. He credits his early growth in the Lord to the discipleship and examples of those around him. Andy attended OBU, graduating with a Bachelor of Arts in Religion (Bible emphasis) in 1991. Andy went on to complete a Masters of Divinity in Biblical languages from Southwestern Baptist Theological Seminary in 1996. He has since completed a Graduate Certificate in Christian Apologetics from Biola University (2009), and has also completed his seminar work toward a D. Min. from Midwestern Baptist Theological Seminary. Andy has been married to his wife, Laurie since 1992. Laurie is also an OBU graduate, having earned a degree in family psychology. Laurie currently stays at home where she manages the Taylor household and home-educates their three children: Seth (16), Cole (11), and Lexie (8). Her ministry focus is discipling and mentoring young moms. Andy’s pastoral ministry experience includes two years as Minister of Youth and Outreach at Regency Park Baptist Church in Moore, OK (1992–94), and two years as Pastor of a new church start in Ft. Worth, TX (1994–96). In 1997, Andy moved to Trinity Baptist Church in Chickasha, OK where he pastored for six years. While there, Andy led the church in a building and relocation program after experiencing a 110% growth in Sunday school and worship attendance. Multiple new ministerial staff as well as new evangelism, discipleship, and church membership programs were added during this time to meet the needs of the growing congregation. 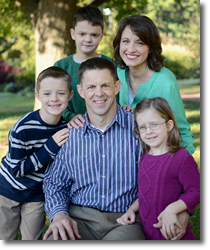 In 2003, Andy responded to God’s call to become a full-time US Army Chaplain. Over the next eight and a half years, Andy completed two tours in Iraq and one in Afghanistan, and was stationed at US bases in Oklahoma, Hawaii, South Carolina, North Carolina, and Virgina. 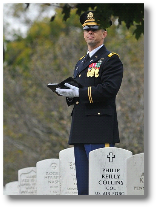 While in Virginia, he served as Deputy Senior US Army Chaplain at Arlington National Cemetery. Andy personally conducted 380 military funerals, led eleven other chaplains and staff in conducting some 500-600 funerals each month, and provided grief counseling to family members. While serving as Brigade Chaplain in the 82nd Airborne, Andy ministered to some 3,500 soldiers and families and managed a ministry budget of $1.2 million. In 2011, Andy sensed God calling him to return to the pastorate; and, from 2011-2015, Andy served as Senior Pastor at First Baptist Church of Ponca City, OK. Under Andy’s leadership, the church experienced significant growth, initiated and expanded international mission involvement in Vietnam and China, and partnered in church plants in Connecticut and Kansas. In addition, Andy developed an intensive small group discipleship ministry while there, and helped launch Celebrate Recovery, GriefShare, as well as special ministries for prisoners and the deaf. In 2015, Andy accepted the call to serve as Senior Pastor at Arrow Heights Baptist Church in Broken Arrow, OK.
Andy recently retired from the military, last serving as the Deputy State Chaplain of the Oklahoma Army National Guard. Through the years, Andy has received a number of awards including three Bronze Star Medals for combat tours in Iraq and Afghanistan. In 2010 he was honored by the OBU faculty with the Profile in Excellence Alumni Award. 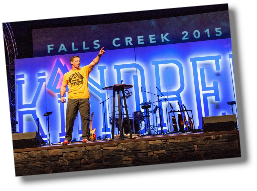 Most recently, Andy was honored to be the camp pastor for one week at Falls Creek 2015.